EPA’s rule articulates clear and consistent national standards to protect public health and the environment, prevent contamination of drinking water, and minimize the risk of catastrophic failure at coal ash surface impoundments. H.R. 1734 would, however, substantially weaken these protections. For example, the bill would eliminate restrictions on how close coal ash impoundments can be located to drinking water sources. It also would undermine EPA’s requirement that unlined impoundments must close or be retrofitted with protective liners if they are leaking and contaminating drinking water. Further, the bill would delay requirements in EPA’s final CCR rule, including structural integrity and closure requirements, for which tailored extensions are already available through EPA’s rule and through approved Solid Waste Management Plans. Two years ago, President Obama said he ‘would like to work with Congress’ to ensure the safe management of coal ash. That’s what we have done with our bill. Yesterday’s veto threat ignores the bipartisan consensus built over five years on this bill. Last December, the EPA, after decades of deliberation and declarations of support from half a million citizens, finally established regulatory safeguards for the disposal of toxic coal ash. 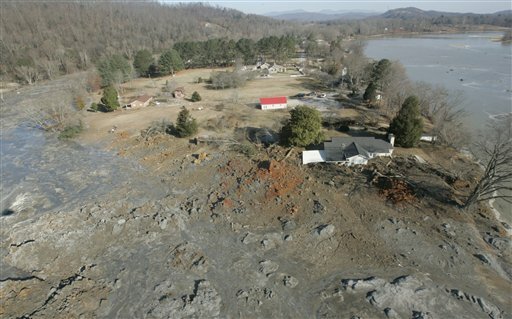 Though the final rule is weak and full of compromises for the utility industry, it provides some relief for communities near the more than 1,000 leaking coal ash dumps in the U.S. When the rule goes into effect this fall, contaminated groundwater will be identified and dangerous dumps closed. Coal ash’s witch’s brew of carcinogens, neurotoxins and other deadly chemicals, including arsenic, lead, chromium and thallium, will finally be subjected to reasonable disposal standards nationwide. The new EPA rule takes steps to fix a huge public health threat caused by the second largest industrial waste stream in the nation. Decades of unregulated dumping has caused water contamination at more than 200 sites; catastrophic ash spills that cost billions to remediate and cause irreparable damage; and a legacy of hundreds of aging “high-hazard” and “significant-hazard” ash lagoons that threaten human life, the environment and the economic lifelines of nearby communities should they fail. Yet none of this matters to Rep. McKinley and the supporters of HR 1734. His bill guts the rule and rolls back critical public health safeguards. — Delays new health and safety protections—potentially for 10 years. Because it would undercut important national protections provided by EPA’s 2014 CCR management and disposal rule, the Administration strongly opposes H.R. 1734. If the President were presented with H.R. 1734 as drafted, his senior advisors would recommend that he veto the bill.